For over 30 years Crow Cams have maintained the most advanced cam development and CNC grinding facilities in Australia which have been used by car companies and our most successful racers to great effect. Over the past 12 months Crow Cams have taken these facilities to the next level with new valve train simulation software developed to produce profiles that offer aggressive acceleration and maximum area under the cam without compromising valve spring lift or quiet valve train operation. The new Crow Next Gen cam profiles deliver more .200 duration for improved mid-range power and torque over other cam profiles with similar 050 duration and lift. Crow Next Gen profiles are extremely smooth and accurate over the lobe nose to minimize stress on valve springs for improved service life. Crow Cams' world class CNC grinding and inspection facilities have also been upgraded to ensure an even greater degree of grinding accuracy in terms of surface finish and cam position. These characteristics are checked on every cam on our CNC checking machines, which are regularly calibrated on our in-house Adcole camshaft coordinate measuring machine. Many of Crow Cams' popular profiles have been redeveloped using the Next Gen process so even profiles you may have used for years will show noticeable improvements in accuracy and performance. This technology applies equally well to Hydraulic cams, solid lifter cams, hydraulic roller cams and solid roller cams and in this catalogue you will see many new grinds to fully capitalize on the range of cylinder head and manifold options now available to you. 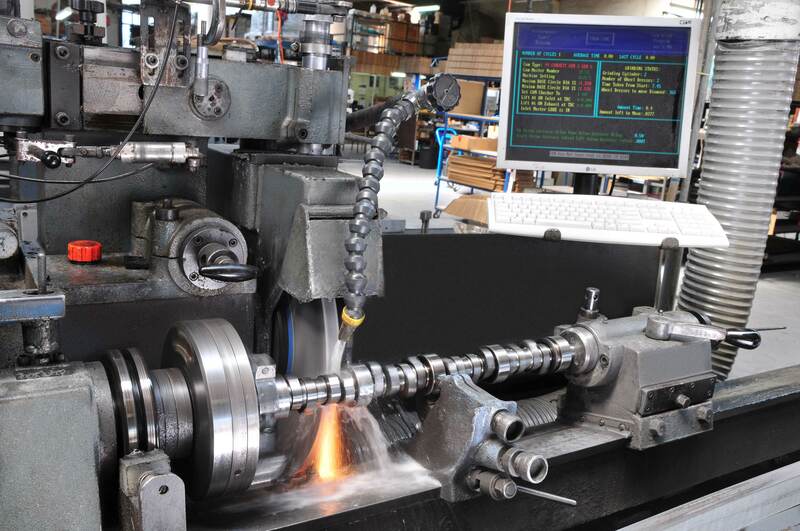 Crow Cams' unique Next Gen cam design and CNC grinding technology is applied to a huge range of hydraulic lifter camshafts, solid lifter, camshafts, hydraulic roller camshafts and solid roller camshafts for maximum torque and power in street or race applications. In addition to the huge range of profiles available in stock Crow Cams can custom grind a camshaft to you exact requirement using the free cam selection questionnaire on the website. With more aggressive cam profiles and heavier valve springs now common in street and race applications, the limitations of extruded alloy as a rocker material are clearly evident. The flex alloy rockers exhibit reduces valve lift and horsepower potential and the stresses can lead to arm failure. These problems have lead to a move to steel rocker arms in the upper levels of motor sport and now the strength and stiffness of steel is within the budget of every performance engine builder. Crow Cams' new stainless steel stud type roller rockers offer virtually zero arm deflection for maximum valve lift and unrivalled resistance to arm breakage. The oversize rocker shafts allow for 7/16 studs to be used without comprising shaft strength. The larger shafts and needle roller bearings also offer greater load capacity for high valve springs pressures. Every set comes complete with poly locks for added value and simple, secure valve lash adjustments. Crow Cams' screw in studs and guide plates will be required to fit these rockers to many factory cylinder heads. Crow Next Gen pushrod ends are precision-machined 210” radius at both ends for maximum rocker clearance and ultra smooth surface finish. Crow single- and double-row billet steel timing chain sets are the ultimate in strength, timing accuracy and long-term durability. Crow Timing Chain sets now feature a German IWIS brand timing chain for much greater resistance to chain stretch and breakage. Precision CNC Machined billet steel top and bottom gears with induction hardening on the crank gear for exceptional wear resistance on gear teeth. The crank gear features 7 or 9 keyways broached in one pass with one tool to insure timing accuracy. Crow Cams have matching heavy-duty cam followers for every hydraulic, solid and roller camshaft. Crow Cams hydraulic lifters for GM applications have chilled iron lifter bases for maximum wear resistance. Crow solid lifters are available with EDM positive face oiling for severe race applications. Crow solid roller lifters and hydraulic roller lifters and made in the USA using solid billet bodies and heavy-duty rollers and bearings for maximum reliability and service life. Hot Rod and Street Machine builders often ask for cam combinations that will produce a tough idle and engine note without sacrificing street driveability or engine reliability. The range of Crow Cams Hot Rod hydraulic camshaft grinds are designed with increased overlap to produce a lumpy idle that will stand out in the crowd. Two options are available for popular US small block V8s: one suitable for standard torque converters with good power and torque from 1600 rpm, and the second to suit 2400 stall converters with stronger mid range and top end power from 2500 rpm. At Crow Cams, we work closely with the USA’s leading performance spring manufacturers to produce performance-matched valve springs for every cam profile they design. Super clean spring wire is used with high heat resistance and special surface treatments ensure a blemish free surface to eliminate stress points. Crow Cams, in conjunction with Australia's leading computer tuning technicians, have developed camshaft and memcal packages to improve the performance of your Holden V6 or V8 without compromising driveability or fuel economy. The kits are a simple bolt-in conversion and come complete with fitting instructions. The Ford XR6 Turbo is fast becoming one of Australia’s most popular performance street and race vehicles and Crow Cams have developed and range of performance camshafts and valve springs to suit every street and race applications. Camshaft and valve spring packages to suit the normally aspirated Ford XR6 are also available. The GM LS V8 Gen III and Gen IV small block engines are the world’s most popular late model performance engines. 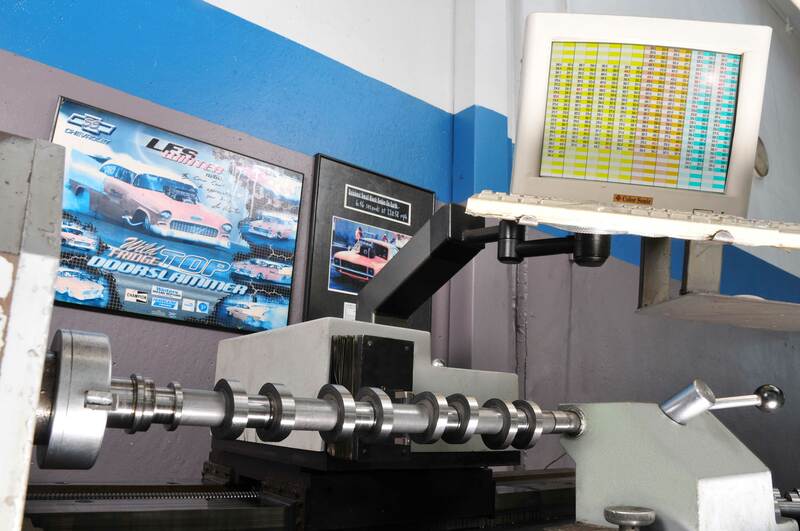 Crow Cams Next Gen LS hydraulic roller camshafts take full advantage of the latest profile design technology to produce unbeatable power and torque without sacrificing drive ability or fuel efficiency. Crow Cams have designed specific profiles are available to match the flow characteristics of the cathedral and rectangular LS head designs for normally aspirated, turbocharged or supercharged induction systems. Each Next Gen camshaft profile is matched to unique hi lift conical single and double valve spring kits and a full range of performance-matched roller lifters, one piece pushrods, timing chain sets and accessories. Solid lifter camshafts grinds and roller lifters are also available for the most severe street and race applications. The Ford Modular quad cam V8 is one of the world’s most popular performance engines and Crow Cams have been at the forefront of performance camshaft development for both OEM and aftermarket applications. Crow Cams have a large range of quad camshaft and valve spring packages for every normally aspirated or supercharged and turbocharged application. Crow Cams have enjoyed phenomenal success in blown alcohol and Nitro Drag Racing and Boat Racing over many years with numerous ET and Speed records set in both small block and big block engine classes. Crow Cams unique Next Gen profile design capability and on track experience in relation to the various supercharger types, boost level and transmission options available in each class has allowed our engineers to develop a wider range of solid roller camshaft profiles to suit very specific performance requirements. Crow Cams Next Gen blower camshaft profiles are available for virtually every Chev small block and big block combination, Ford small block and big block and Chrysler KB based engines. Over more than 30 years Crow Cams have developed unique camshaft grinding, inspection and finishing facilities using CNC technology to ensure the ultimate in product consistency and accuracy. Crow Cams is one of the few cam companies in the world who have in-house capability for cam lobe design and production. It is not well known that most cam companies simply copy existing profiles from companies like us who design their own profiles. Crow Cams are ground on unique CNC controlled camshaft grinding machines developed in-house by our engineering staff. These machines computer control grinding speeds and feed rates to achieve exceptional accuracy and surface finish of the cam lobes. Every cam is inspected in CNC controlled inspection equipment that checks every lobe for such critical element as lobe taper and base circle run out. Master cams are checked using the world’s most accurate cam inspection machine – the Adcole. We are the only Australian cam grinder to have such a machine in-house. Camshaft surface finish is critical to long term durability and every cast iron cam goes through a phosphate and CNC buffing process. All steel roller cams are finished using a CNC lapping machine to produce a very fine cross hatch finish to ensure perfect roller lifter tracking. Full cam specifications are supplied with every Crow Cams product, which are packed securely to arrive in perfect condition worldwide. The same facilities and attention to detail that are applied to record setting race cams, for competitors such as 6-time Doorslammer champion John Zappia, are used on the Crow Cam you will receive for your road or race combination.